Reicast Git (2014/05/13) is compiled. reicast is a multi-platform Dreamcast emulator. The project is currently in Alpha, usability, performance and stability issues are to be expected. Cortex-A9 dualcore, 1ghz+ is the minimum hardware for decent speeds. SSF Test Version (14/05/19) is released. SSF is a Sega Saturn emulator for Windows systems using DirectX 9.0b. The current version claims near-complete implementation of the Sega Saturn hardware (not counting emulation bugs), and can emulate the Saturn based Sega Titan Video arcade hardware too. As with most emulators, CDs or disc images are not included and have to be owned separately. The BIOS is also not included; as of 0.07 Beta R3, games run without the BIOS however. The usage of BIOS files is optional but recommended for better compatibility, and needed for tasks such as management of the contents of the internal memory of the Sega Saturn, or setting the system clock. Heart of The Alien (HOTA) is the sequel is undoubtedly the best adventure of all time, Another World. It was developed in 1994 by Interplay exclusively for the Sega CD. However, the community developed an opensource engine to make it work on multiple platforms (called Redux.) Most veterans will remember that there is already a port to Dreamcast, right! The previous port of LTK (aka. Uguru), was published in 2006 (MadridSX) and did not include support for music and source code (thus violated the GPL!). Whatever we bring here is the NEW port of Guaripolo Indiket and adding music stand ! So, we can finally enjoy this great game as it deserves! Our Russian friends DC-SWAT have released a new version of DreamShell essential, with many new features over the previous version! especially, have added support for the G1-HDD ... both PIO (3-3, 5 MB / s) and DMA mode 2 (10-12 MB ​​/ s), amazing! Not only that, for example now runs both images CDI as GDI. It also supports FAT and EXT2 no changelog yet exist in English, but the change list is very long: D. For example, they have added a tool for measuring the speed of the SD / HDD / PC and GD-ROM! In the news announced soon release the source code on GitHub. In the meantime, try and comment friends! Dreamca another Sunday ..... u no excuse, I say today is a Saturday lol, but no matter! We like things to offer, from all to all! Today, play something for those novice developers Cenbubble is an example of very simple game style " Puzzle Booble ", to see how easy it is to launch an idea: D (Style 1945 or Alien SDL). It is made ​​with SDL, SDL_image and SDL_gfx, and therefore is easily portable to multiple platforms. The truth is that this source had it stored in the virtual "loft" several years ago (the author, Xavier Sala , he used to instruct students) and lacked some retouching to make it more functional on the Dreamcast. So encouraged me and I added the option to múltipels levels, and several optimizations that are not delayed in our little white Includes 6 levels , and you can easily add those you like, without touching any code! The controls are simple: the D-PAD to move the pointer up to shoot, and the X / Y you change level, L to go. Easy, right? For those wanting to improve the code (it is GPL), here are some ideas! - Rating System and hiscores. - Sounds - Background Music - Wallpaper by level. - etc! Metallic posted new screenshots of Rhythm Tengoku (Naomi) emulation in Demul. That’s the good news, the bad is it’ll take another week to get the revised PCBs manufactured, so again a small delay. The new variant will be called 5.2, and there are just a few 5.1 units in existence. Those are identical except the location of the optional support near the button, it has been moved a bit. You can use it or not, it’s up to you, it might prevent proper seating of the connector so that’s why it’s optional. Might not fit perfectly into each Dreamcast. The left support (and the screw pretty much as well) are mandatory if you want GDEMU to be stable. These are however far enough from the connector not to cause any issues. The screw is metric though, can’t get anything else in this part of the world, and apparently the original one was not. So it might be a bit difficult to install it at first, just be patient with it and don’t rush. Also, do not attempt to put the screw in alone, you will reach the console mainboard if it goes deep enough, and then it’ll cause damage to it. To make sure noone attempts that I will be adding a small piece of paper to each sent GDEMU with this particualar warning printed. Sega may be most closely associated with Sonic the Hedgehog, but the publisher doesn't rely on its console platformer mascot like it used to. Parent company Sega Sammy Holdings reported its full-year financial results today, with a turnaround for the gaming business led by a pair of PC titles. Total War: Rome II was the company's best-selling game for the year, with 1.13 million copies sold, followed by Football Manager 2014 and its 790,000 copies sold. The worldwide Wii U and 3DS release of Sonic: Lost World was third, with 710,000 copies sold. The top five was rounded out by THQ bankruptcy acquisition Company of Heroes 2 (680,000 sold) and the Japanese launch of Yakuza: Ishin for PS3 and PS4 (390,000 sold). For the full-year, Sega's consumer division (which includes toys and animated movies as well as games) posted revenues of ¥99.84 billion ($981.52 million), up 19 percent year-over-year. It also turned the prior year's ¥732 million ($7.20 million) operating loss into an operating profit of ¥2.09 billion ($20.55 million). Despite the improved numbers, Sega noted a softness in the packaged games market, and a continued shift toward digitally distributed titles, especially those on social networking services and smartphones. The company is taking both of those into account for the current fiscal year. "The packaged game software field in the consumer business will continue to undergo rationalization, in an effort to establish a structure that can consistently generate profit," the company said. "We will also push forth with the digital conversion of existing package IPs." Perhaps counterintuitively, Sega projects to sell 12.78 million retail copies of games over the current fiscal year, up from 8.73 million last year, and 10.78 million the year before. It expects the 3DS to be its strongest platform (2.27 million copies projected), followed by the PS3 (1.52 million copies) and the PC (1.15 million copies). The consumer division is forecast to see revenues jump 29 percent this year, with operating income more than tripling to ¥6.6 billion ($64.9 million). For Sega Sammy as a whole, revenues were up 17.6 percent to ¥378.01 billion ($3.72 billion) for the recently completed fiscal year, while net income was down 8.2 percent to ¥30.72 billion ($302 million). The company is projecting sales to rise 19 percent in the current fiscal year, with net income falling 32 percent. 20 years after launch, what can Sega’s 32X teach today’s console giants? The 32X in situ alongside Sega’s Mega CD 2 and host console, Mega Drive (Genesis in the US). Edge 218′s Kinect cover asked of the device: “The catalyst for a new era in gaming, or a 32X for 2010?”The parallels between the Kinect and Sega’s 32X might not seem immediately obvious, but as the Xbox One slowly recovers from its difficult launch they keep presenting themselves. 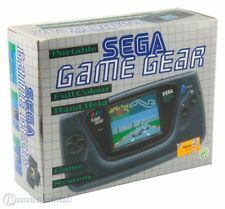 In 1994, Sega was a runaway success in the West. 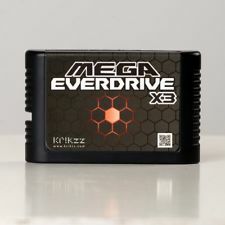 The Mega Drive (the Genesis, locally) was the best-selling 16bit machine in North America, and sold around seven million units in Europe, leaving the Super Nintendo in the shade. But in the East, things were different.In Japan, the Mega Drive couldn’t compete with the SNES – the Super Famicom – and was also being outsold by NEC’s PC Engine. 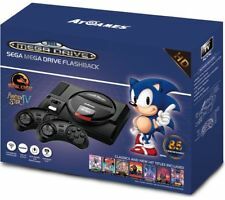 Headquartered in Tokyo, Sega was keen to progress to 32bit technology before their closest competitors – and it was feeling the heat, too, from a couple of new consoles: Atari’s 64bit Jaguar and Trip Hawkins’ 3DO. Pressure was rising. Action was needed.The Mega-CD showcased Sega’s capabilities to strike into new markets ahead of its peers – even though it didn’t truly deliver next-generation experiences, the move to CD-based console gaming in 1991 was prescient, and sales were decent. 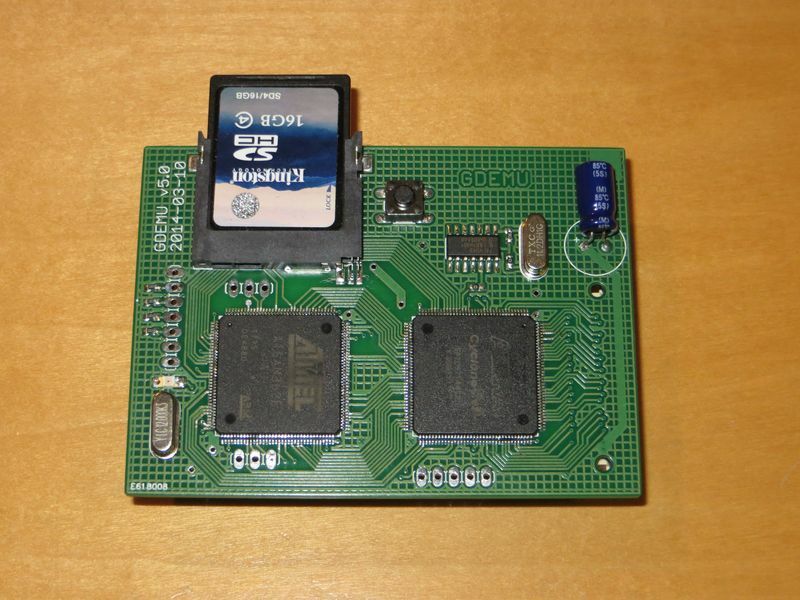 But when word emerged that the company was to release another, cartridge-based add-on for the Mega Drive in order to prolong its lifespan, at the same time as developing a standalone 32bit console, the Saturn, the only reasonable reaction was one of bewilderment.Codenamed Project Mars, Sega’s 32X began strongly, selling 650,000 units in the US between its November 1994 launch and Christmas the same year. 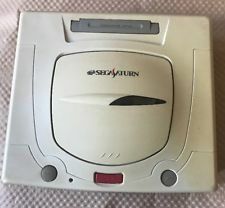 But in Japan, the Saturn beat the Mega Drive’s 32bit supercharger to stores by a couple of weeks – it wouldn’t make the States for another six months – rendering its presence in the East effectively needless, its market penetration negligible. Hello dreamers! Another Sunday, "dreamcastero" more, and of course, we bring you the latest news homebrew: SQRXZ 4 ! They say that there are not three but four ..... well it was not exactly like that lol:-P. In SQRXZ 4 - Cold Cash , we have to go "impossible" levels to get fresh money (yes friends, there is a solid frame at each SQRXZ adventure!). is planning to launch a Kickstarter this summer, following the success of other games supported by this system. Our friends SegaSaturno.com again surprised us by posting a very interesting interview with our friend Chui , to mark the imminent release of Pier Solar HD for the Sega Dreamcast! You say the spring alters blood! Well, also the sceners Dreamcasteros lol. 's team DreamShell has been secretly working on a new version. They have released two videos showing its operation ... with the new adapter G1-ATA ! Yes friends, the Dreamcast games running from HDD! appears to be running perfectly, but for now the HDD only works in PIO mode (get more speed in ATA mode, we will see if they do!). Found the demo of "TOWER OF BABEL"! Visit the thread assembler, there is interesting information and even, it seems that ARTWORKS version found Shenmue of Saturn . Just tell them to stay tuned and they are working to give an image that is functional in our DC's. 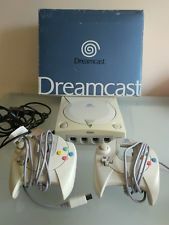 It's great to see that continue to appear this kind of thing is no Dreamcast and greatly thank the lords who selflessly sharing all this with us, Dreamcast lovers! 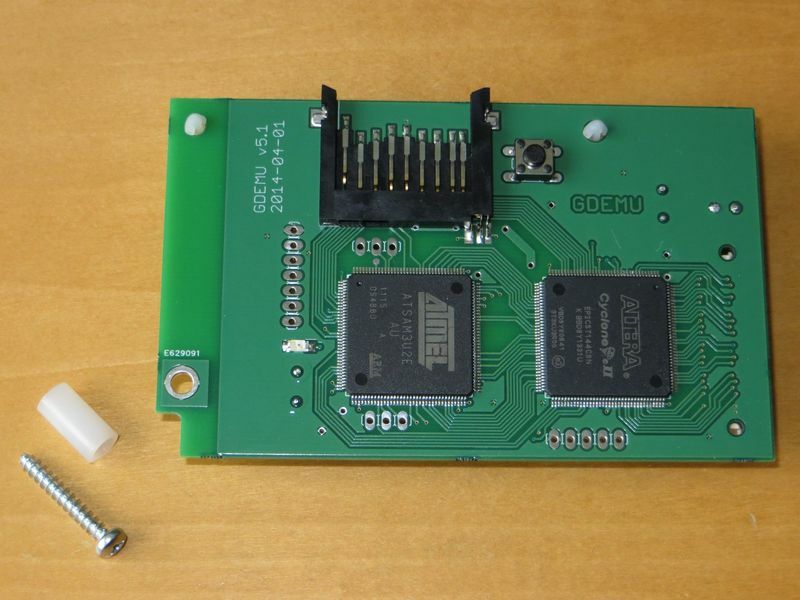 GDEMU is an SD card based replacement for the optical drive in Dreamcast console. 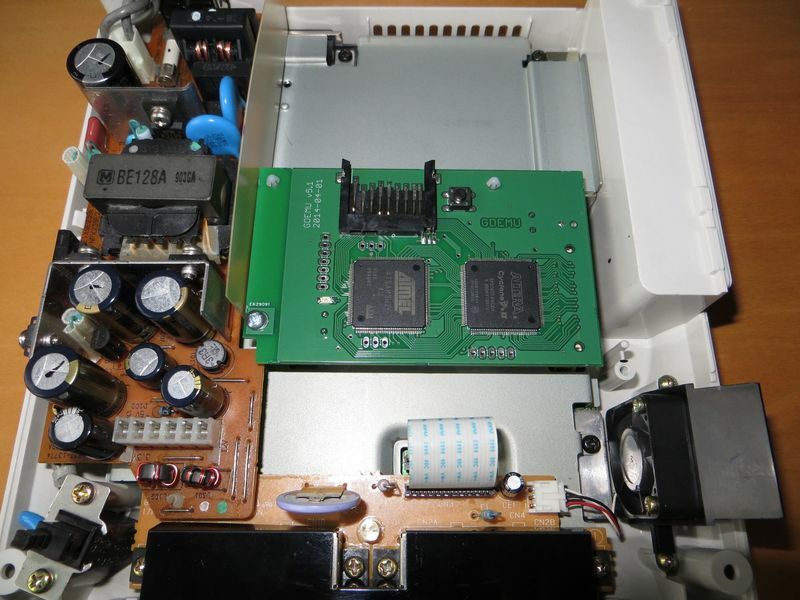 GD-ROM drives inevitably wear out and fail – as do all mechanical devices – and since the console is no longer being manufactured it’s nearly impossible to source spare parts. This project was meant to provide a “once and for all” solution, since it doesn’t have any moving parts. Please note: GDEMU does not endorse software piracy. It is end user’s responsibility to ensure the device is used in a lawful manner. The project was started in 2008 as purely hobbyist endeavour, and was kept private for a long time. A few prototype units were made and the last ones received praise from the testers, so I have decided to make it more public by selling some in hope to raise money for hardware and software upgrades I need. This is still, however, just my old hobby project and not a business venture. Sega Europe suffered "a limited number of redundancies" due to a restructuring in Sega of America's Sonic and mobile divisions. The layoffs follow those that hit Sega of America in October 2013 due to another restructure. "Sega is in the process of consolidating certain functions of the Sonic and Mobile departments within Sega of America, where the management and production for those areas of the business reside," Sega told Joystiq via email. "As part of that strategy a limited number of redundancies have taken effect in our European office, based in London." Sega slashed its profit forecasts in February for the fiscal year ending March 31, cutting its expected net income by 36.2 percent to 30 billion yen ($293.5 million).